At Flexico we aim to make your life easier. Garages are not known for being clean and organised. This is our job.. we love helping you make the most of you space with some or our storage solutions. Our flooring will make you smile for years because not only does it look great but its dust free, easy to keep clean in any weather. 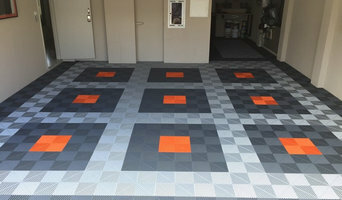 Its non slip, resistant to oils, lubricants, most chemicals & it has a 10 year warranty. Need help designing your garage? Ask us for advise. Established in 1969, M&B Sales operates one of WA's biggest joineries as part of its huge retail and wholesale distribution centre at Bayswater. It's building supply business, plus Balustrading WA, its 5 regional branches throughout the State and its own Jarrah timber mill in Nannup service a major slice of the WA building trade from carpenters to project builders to premium builders and commercial mas well as direct to owner builder / renovators. We have exclusive products and are WA distributor for an ever increasing number of brands. Our door division supplies over 20,000 doors every month, and we operate with 7 large warehouse and timber sheds and a large joinery. 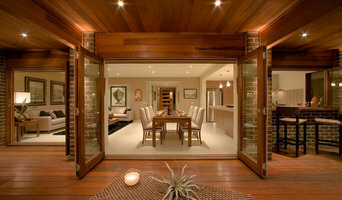 Suppliers/wholesalers of premium Engineered Timber Flooring in Spotted Gum, Blackbutt and French Oaks. We sell wholesale direct to you - by buying direct you can save - let us provide you with expertise on flooring options for your home or office. Ceilings.com.au has been operating since 2003 and supply pressed metal panels and other pressed metal products such as cornices & borders. We also supply all types of ceiling products associated with the domestic and commercial building industry. We supply pressed metal panels which can be used for kitchen splashbacks, feature ceilings & walls, bathrooms and laundries and counter fronts & cabinetry. 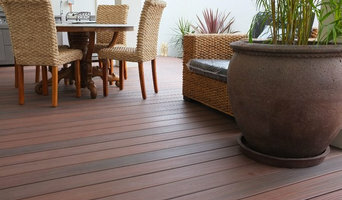 DWR Industries is Perth leading supplier of affordable home renovation products. Our best selling product is our Natural Stone Carpet which is a loose stone that gets mixed with an epoxy resin. Supplying WA Buildings with Timber, Structural Timber, Decking, Mouldings, Flooring, Doors, Windows & Joinery, Heating, Architectural Hardware, Lighting & Ceilings, Cooking, Bathroom, Homewares. Specialises in the supply and delivery of high quality sands and limestone in all suburbs of Perth and surrounding areas. Our products are sourced from our property and quarries in the Moore River region. This area, which is close to Yanchep and Two Rocks, is recognised for its high quality building-sand / limestone resources. We are able to provide you with a reliable service and quality product at very competitive rates. Our Vision is to search the global network for innovative, creative, user-friendly products to satisfy the expectations and demands of our valued customers, based on the concept of brand, quality and competitiveness in the local marketplace and the ability to grow the company to meet future demands. Worldwide Timber Traders are a proud Western Australian owned and operated business supplying the building and construction industry. 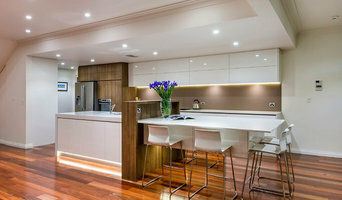 With over 5,500 innovative, decorative, functional and affordable products we have evolved from a green hardwood sawmiller supplying wholesale timber to becoming one of WA’s largest distributors and/or manufacturers of timber, plywood, veneers, cladding, decking, laminates, acoustic panels, structural timber, trusses and more. Since 1946 Midland Brick has been helping Western Australians build their dream homes. In fact the majority of West Australian's, born after the 2nd World War, would have grown up in a house built with Midland bricks or pavers. Today, Midland Brick is recognised internationally for the innovation it brings to the housing industry, together with exceptional quality and range - one of the largest in Australia. And it's not just bricks and pavers. Our products now extend to retaining walls, terracotta roof tiles and architectural style stone-wall cladding. M&B Building Products is a WA family owned and operated company providing quality products and service to the building industry for both residential and commercial projects for almost 50 years. Proudly WA owned and operated since 1969, M&B provide professional advice, unsurpassed service and innovative quality products to the retail, trade and new project homes building industry. In this category you’ll find companies that source and provide everything you need to build your East Perth, Western Australia home from the floor up, from timber flooring and synthetic grass to plumbing supplies and door hardware. Some companies will stock all kinds of hardware, while others will have areas of expertise. Raw materials and how they’re applied – including everything from metal roofing and timber panelling, to board-formed concrete and porcelain tiles – can provide infinite design possibilities. If you’re working with an East Perth, Western Australia builder, architect or designer, they will likely have favourite building materials they like to work with, as well as favourite suppliers. Ask them for examples of how the material has been used in past projects, and seek out alternatives for comparisons. 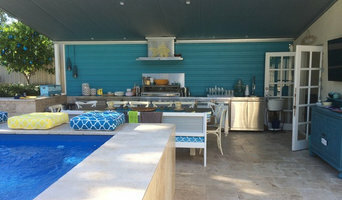 Find building supplies in East Perth, Western Australia on Houzz. Scroll through this page to find companies that source and deliver building supplies in your area. You can browse their portfolio, read reviews and see how other tradesmen and homeowners rate their customer service, expertise and product.